The late Ho Hon Mun was born in 1954 into a family of six sons and a daughter. In 1981, he left for the United Kingdom to pursue an accountancy course but ended up doing law at the City of London Polytechnic. After completing his study, he returned home to Kuala Lumpur to take up CLP in 1987. He underwent his pupillage in the firm of Chong Thian Fook & Co. at Jalan Imbi. After having been called to the Malaysian Bar, he worked as a legal assistant at the law firm of Bahari Choy & Nongchik for two years. In 1991, he set up his practice, Sulaiman, Ho & Co. with the late Sulaiman Mohd Said whom he met during his CLP course and was also his colleague while working for Chong Thian Fook & Co. Since then, he had practised in the said firm until the day of his demise, which sum up his 30 years in legal practice. During his marriage with Lim Lay Leng, he was blessed with three children, Pei Jun, Shun Ming and Shun Xian. His elder son, Shun Ming followed his footstep to take up law and is now working in his father’s firm. 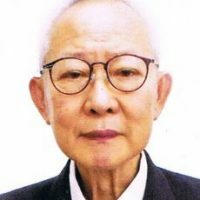 The late Ho Hon Mun had served as a condo Chairman for seven years. He was also a Commissioner for Oaths from 2008 until his untimely demise on 19 May 2018. Even though he was a full time practising lawyer and despite his very tight schedule, he always had time to serve the community. His life, as his nephew, Dr. Ho Jing Liang puts it, “3rd uncle led a functional life until the very end”.